Judith Leiber Couture coffered rectangle hard-shell clutch. 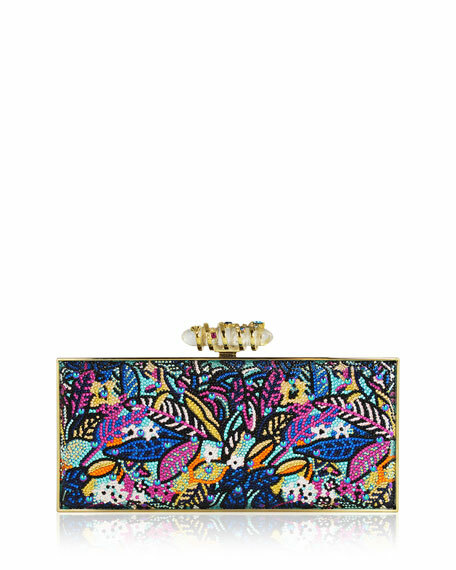 Encrusted in Austrian crystals with sea jungle motif. Embellished push-lock clasp at top. 4.3"H x 9.5"W x 1.8"D.